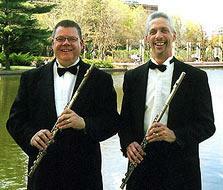 Memorable quality Live Music to personalize your corporate event or party. 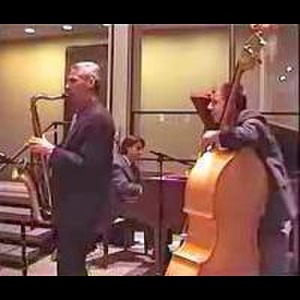 Jazz, swing, and classical groups for ambient background or dancing. Trio, Quartet, Duo, or 7-piece Small Big Band. VIDEOS ONLINE of all the groups at live performances. 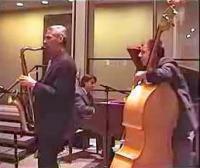 livemusicjazz Call/email for rates. ----CHECK OUT OUR OTHER GIGMASTERS LISTING UNDER: "JAZZ BANDS" for VIDEO SAMPLES.---- The Yannie Jazz Quartet plays classic jazz standards, latin, swing, and dance or dining music; The Copasetic Trio plays traditional jazz, swing, and Dixieland; and the Cease & Desist Small Big Band plays 40's, swing, and romantic and dance favorites-having over 100 arrangements. Also smaller groups and classical ensembles are available---VIDEOS on my website. Testimonials and References available at Website. We also offer your choice of two outstanding Twin Cities vocalists. From corporate events to house parties, we can make your special occasion come aLIVE. DEMOS and REFERENCES available upon request. Visit our website for more information and other references. Please note Live Music--Mark Yannie will also travel to Saint Paul, Arden Hills, Hopkins, Mendota, Plymouth, Bloomington, Mendota Heights, Minnetonka, Eden Prairie, Maple Grove, Minnetonka Beach, Orono, Osseo, South Saint Paul, Wayzata, Circle Pines, Inver Grove Heights, Champlin, Burnsville, Chanhassen, Crystal Bay, Long Lake, Newport, Savage, Willernie, Excelsior, Hamel, Saint Paul Park, Dayton, Hugo.